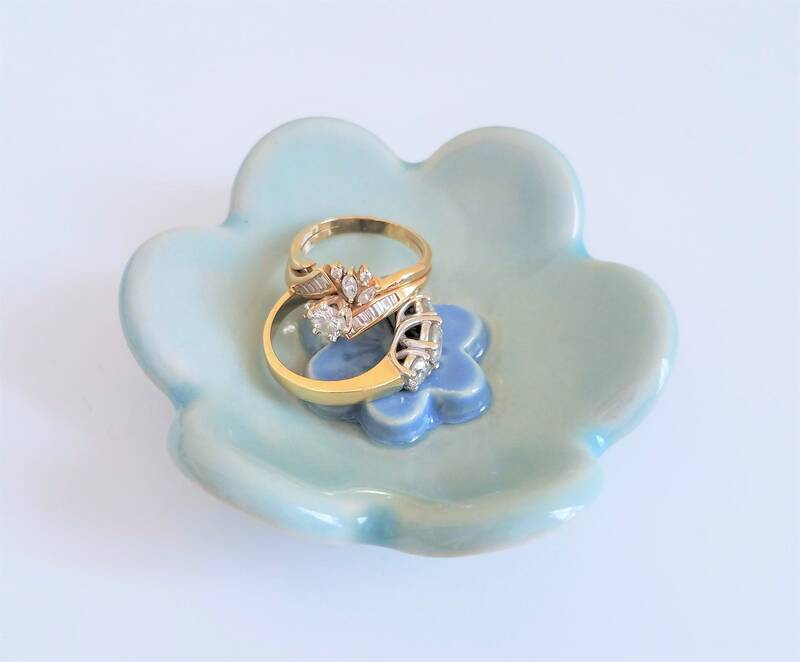 My handcrafted ceramic flower dish is perfect to use as a jewelry dish next to the sink, or on your bedside table. 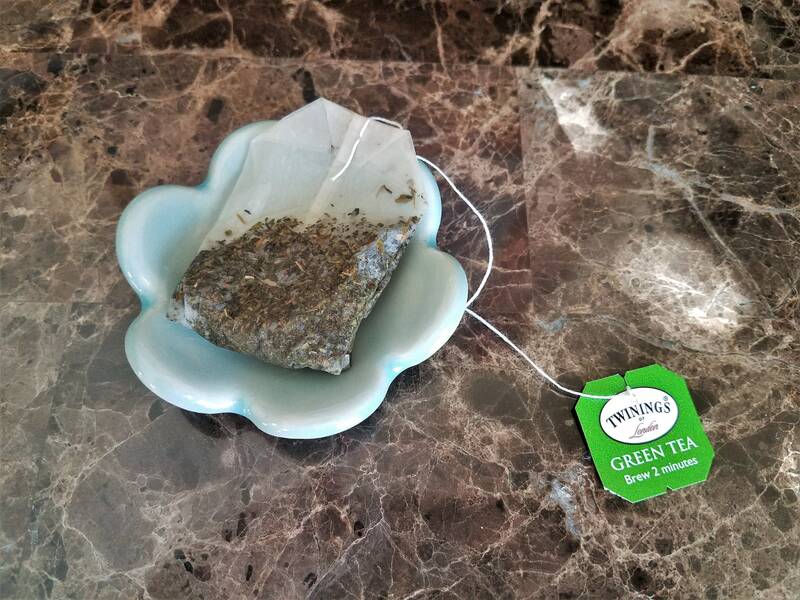 This pretty little dish also makes a terrific tea bag holder, or a place to hold a small votive candle. 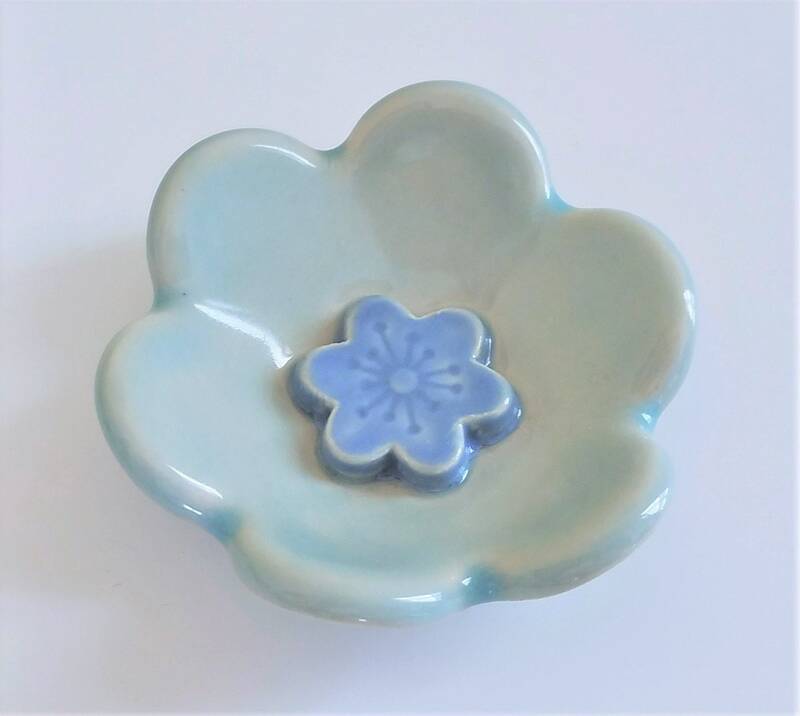 I created this dish from stoneware clay and glazed it in an ice blue. Kiln-fired to cone 5. 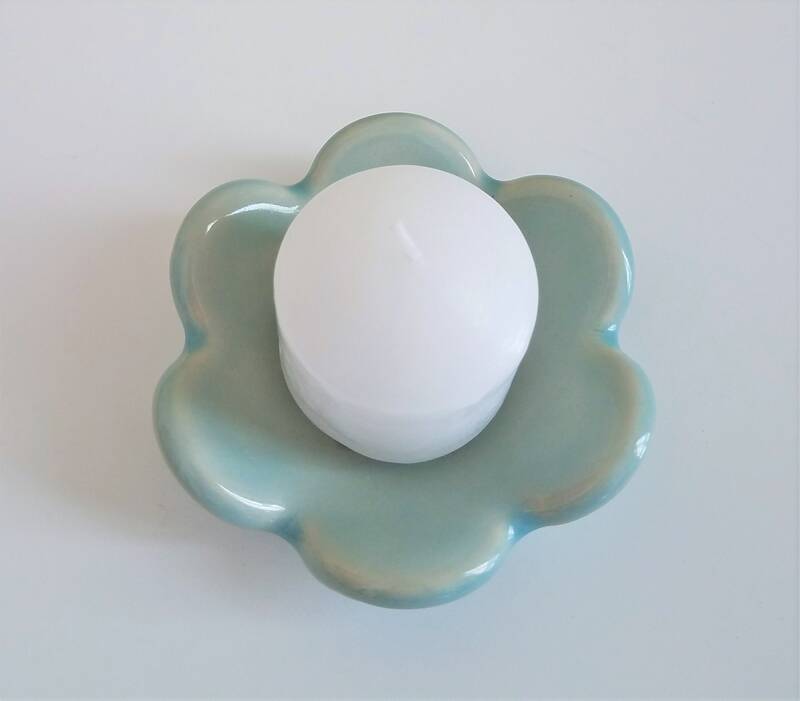 Measuring 3" in diameter, my flower dish makes a great holiday gift for a friend. 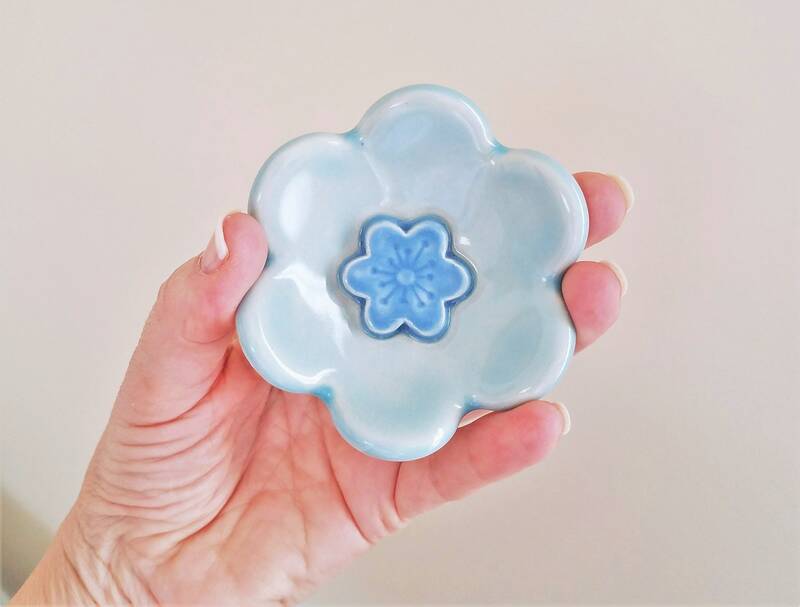 Thank you for shopping Lisa D Pottery. Please follow me on social media. I accept credit card payments through Etsy and Paypal. I also accept Etsy Gift Cards. Georgia residents will be charged sales tax. 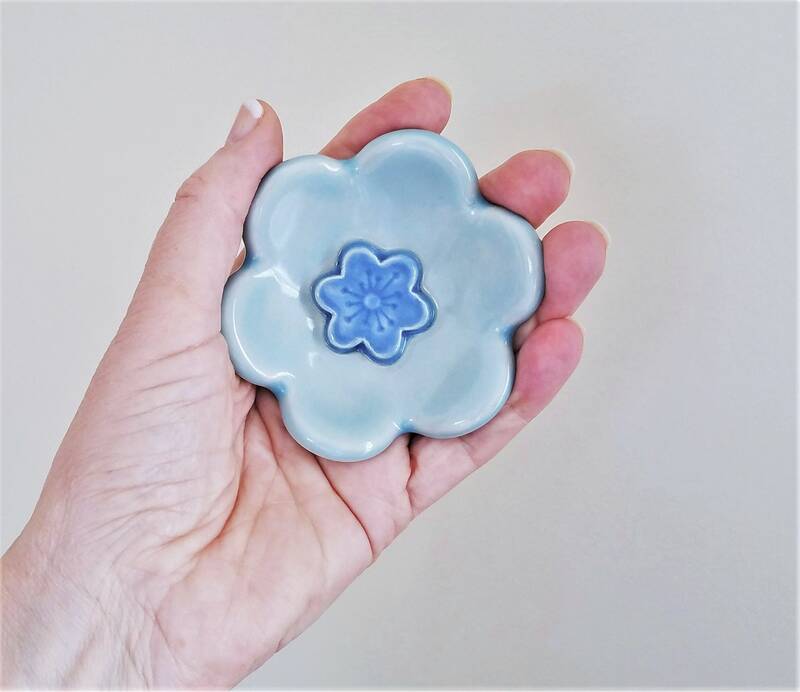 All of my pottery items ship to locations within the USA. Normal shipping is done via USPS, but in some cases I will use Fed-Ex for my larger more fragile items. Please note that shipping costs include actual postage paid plus the cost of the packing materials used to ship your order safely. I want your purchase to travel safely from my door to yours, so I use plenty of packing material and great care when packaging your item for shipment. If you are purchasing a gift, and want it shipped directly to the recipient, please let me know in the "note to seller" section when you order. I'm happy to send the item direct to them and will include a note from you if you wish. I'll ship your order the next business day, because who likes to wait, right? Please convo me with any questions relating to the shipment of your order. I do not offer refunds on lost or damaged items on internationally shipped items. SHIPPING DELAYS – USPS Priority Mail and First Class International are non-guaranteed delivery methods offered by USPS. Please visit USPS.com to understand guaranteed delivery options. I cannot accept responsibility for any transport delays outside our shop’s control. International shipping times can range anywhere from 6 days to 6 weeks depending on the country and customs. I am not responsible for customs taxes or fees. Customs rules and fees are different in every country, check with your country's customs laws if you have questions about this. EXCHANGES: I'm happy to let you exchange your purchase if you contact me within 10 days of receipt. The buyer is responsible for returning the item to me, in it's original condition, and is responsible for the cost of the return shipping of the item, as well as the shipping cost of the replacement item. REFUNDS: Refunds are only given if the item arrives damaged. If an item should arrive damaged, please convo me right away so I can file an insurance claim. Do not throw away any packing material or the box it came in as Fed-Ex, UPS or the Post Office may need to see it in regard to the claim. Once the claim is filed, I will refund your money including the shipping cost. CUSTOM ORDERS: I do not provide any refunds or exchanges on custom orders unless the item arrives damaged or broken.